We are proud to be a Fanuc America Authorized System Integrator (ASI) here at Meredith Machinery. 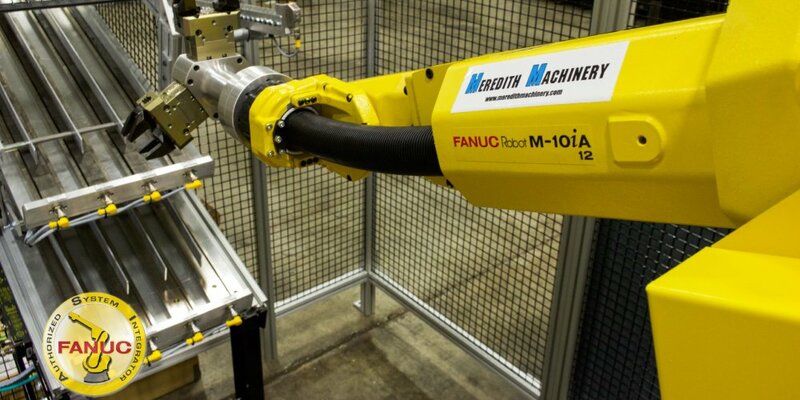 Fanuc offers a wide range of Robot models to accommodate virtually any manufacturing application from high-speed compact robots to large heavy lifters. We have the capability to analyze your system requirements and provide you with a customized robotic solution that will enhance your quality, throughput and ultimately your productivity. By successfully integrating a Fanuc Robot into your system we will be able to give you the return on investment that you desire. The Fanuc Robodrill is an extremely versatile Vertical Machining Center. It offers Fast axis motions, quick tool change times, and extreme reliability. It is versatile because it can be equipped so many different ways. The standard machine is 3 axis but can be optionally equipped with 4 axis or 5 axis simultaneous. This is possible because it uses the FANUC 31i CNC control. The Robodrill is used in general job shops, Mold shops, Die Shops, and production shops for both Automotive and Medical industries. The Fanuc Robodrill is a great candidate for Automation because it can be loaded from the front or the left or right sides. Auto Doors are available for any of the three aforementioned scenarios. High pressure coolant, coolant wash systems, and fixture control integration, are easy to do on the Robodrill. Many chip conveyance scenarios are available for many different types of materials and applications. 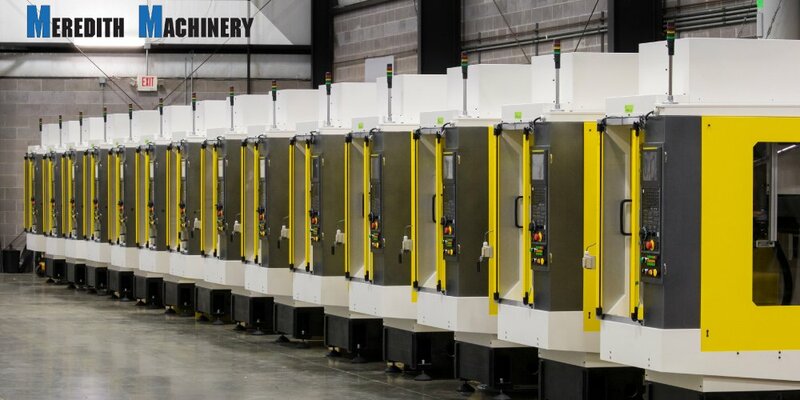 The FANUC Wire EDM is used by the Die and Mold industry as well as the Medical Industry. It offers two travel sizes with several height capacities. 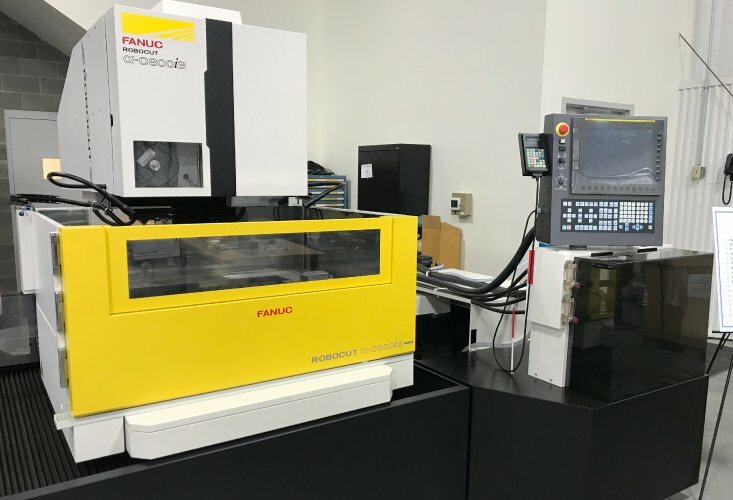 FANUC has brought their electronic expertise to compete in the EDM market and has produced an extremely competitive, Highly reliable product that is easy to operate. FANUC’s control makes it easy to accommodate a variety of materials and can cut efficiently. In addition, Meredith Machinery services FANUC wire EDM machines. So our customers enjoy efficient machining with very little down time.